Henry Weston is the Founding Partner and Commercial Director at PageTiger, a multi-platform online publishing company. PageTiger was the winner of ‘Best Business for Innovation and Technology 2012’, awarded by UK Business Secretary Vince Cable. With over 20 years commercial sales and marketing experience working for consumer brands such as L’Oréal Professionnel and Wella, Henry launched his own publishing company back in 1999. Initially a predominantly offline publisher, Henry foresaw bulk publishing moving online and located a gap in the market for a user-friendly online publishing system. PageTiger still provides high-end bespoke print publishing, but the majority of its client publications are now online and form the core of the PageTiger proposition. As any entrepreneur will probably tell you, I have been quite mercurial. I got into publishing via working with hair product companies and that sprawled into a very successful print publishing business, working on magazines for blue-chip hair and beauty clients such as Wella, Schwarzkopf and Joico. Long before ‘the death of print’ was being talked about, I started considering how to exploit the incredible options online publishing would give and had already established that a solely print based business wasn’t going to satisfy my publishing ambitions. Plus I am a huge fan of online and the flexibility and immediacy it offers. So, along with our tech-guru Oliver Gurnell, I created PageTiger. In a nutshell PageTiger is a powerful publishing platform that gives clients a panorama of online publishing services. At our entry level, we provide a user-friendly interface where anyone from the local church to a small charity or sports club can convert their offline publications into online interactive ones. Bearing in mind the cost of print and ‘snail mail’ distribution, this provides an amazingly cost effective self-service solution for smaller organisations. We then have PageTigerPlus which unlocks the full range of interactive functionality for businesses to exploit, and TigerDesigner, a bespoke online design programme which allows companies to create their own designs within PageTiger. And we have just launched PageTiger Enterprise, specifically configured for corporate use. Plus we have a Creative Services arm that can design, write and publish for clients. It is an over-used phrase but we are a ‘one stop publishing shop’ for any organisation. Q3. How difficult was it setting up your business, growing the business, getting customers, promoting it, etc? I defy anyone who claims it’s a seamless, incident-free process. They are lying. 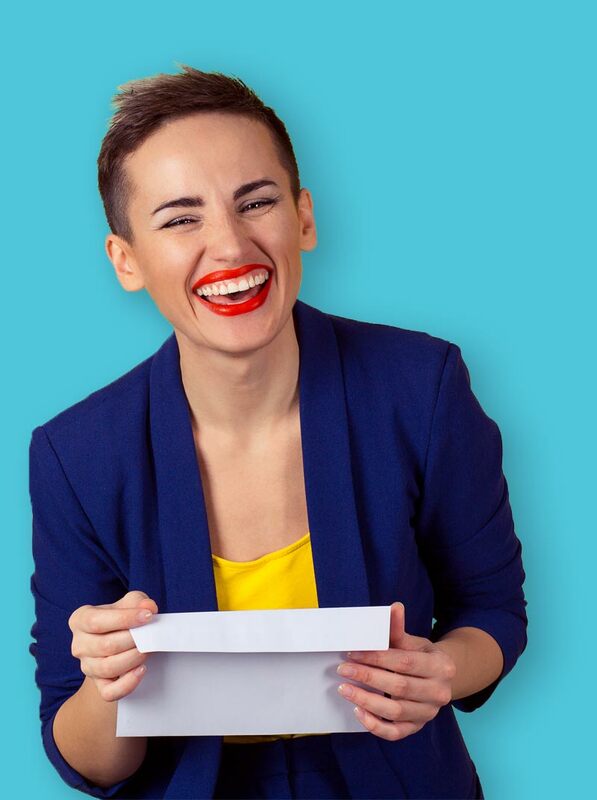 In effect PageTiger was a start-up so you have all the obvious external factors – the economy, funding needs, staffing, hardware, software, and the fact that an hour ago, you didn’t exist. I think too many people waste time and money setting everything up, and spending small fortunes without a truly coherent plan. Who are your customers going to be? How are you going to win them? Thankfully I had a strategy to establish an engaged customer base, initially at a lower price structure to demonstrate the viability of the proposition, then develop that proposition to create a blue-chip client base with more complex requirements (and bigger budgets!). And then develop a platform for corporates. It sounds common sense to say it but we built from the ground up, didn’t overstretch ourselves, and didn’t need anybody else’s money to launch. For promotion we use everything from word of mouth to advertising to social media and email marketing. Q4. You launched into a market where ‘first-movers’ were already in place. How did you address that challenge? You can take on an established incumbent in a number of ways. The most obvious is to do it better. You could argue that’s the Google versus Yahoo story. We are not as big as some of our rivals (yet!) but we have a unique proposition within the sector – PageTiger publications play on any browser, tablet or phone. The system is coded in a way that gives us that universality. PageTiger also strives to put a distinct human face to our business and go the extra mile with clients, even the little guys. For example, our team and even myself give personalised tours of the PageTiger system. We like people to exploit our baby to its full potential and the day I just sign clients up and then forget about them, as some big companies do, is the day I stop. Q5. How do you market your business? To paraphrase Malcolm X, ‘by all means necessary’. Email marketing is core to our activities, Google adwords have worked well for us, we have a strong identifiable brand and we are starting to get rewards for our social media efforts. Our marketing objectives are not to sell or convert, they are to interest potential clients and get them trialling the system (we currently offer a free trial). Once they are inside the PageTiger ‘house’ most of the battle is won. Q6. 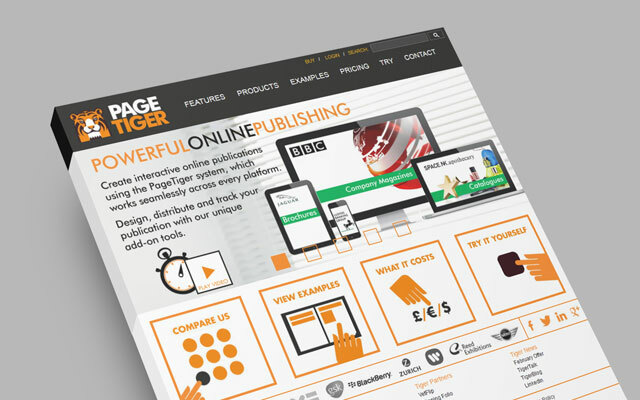 You have an impressive list of clients that have chosen to use PageTiger, such as BBC, Land Rover, Lloyds TSB, BUPA, etc. How did you manage to attract these blue chip companies? Simply by understanding what a client wants, showing them how we can maximise their business and marketing objectives, and making us the cost-effective option. PageTiger aims to be the best in the business without charging the highest – if you were running a business, that’s exactly the kind of supplier you dream of. We have proved ourselves ultra-flexible and adaptable to whatever a big corporate throws at us. We create solutions and we never bust our deadlines. If we have to blast the weekend to get a job done, that is exactly what happens. Q7. Do you use Facebook, Twitter, YouTube, Pinterest etc to promote your website? How successful has it been for you? Any advice on how businesses can use social media to promote themselves? Yes we do. I don’t believe in leaving any stone unturned. Our most effective platforms are LinkedIn and Twitter and we have just launched our own TigerBlog. YouTube is great to display our video based promotions and tutorials, and Facebook is Facebook – not our ideal platform but you can’t ignore it. My advice? Start! Learn the platforms and their effectiveness by detailed tracking and don’t do it simply because ‘everybody does’. Social media is hyper-immediate so it allows you to make (minor) mistakes, learn from it and improve. And as quickly as you can, work out when your campaign is most effective. For example LinkedIn is definitely best just before or after standard business hours, best time for Twitter is around lunch. And test different solutions for engagement and take-up. Depending on your business, it is vital to work out what your message is, and ensure social media generates the kind of engagement you want. One of our objectives is to generate traffic to specific landing pages on our website so we constantly evaluate whether that is working. In retrospect, I would not have initially sourced external funding. Purely as I and my fellow directors subsequently decided to keep complete control of the business and the finance. PageTiger is our baby and we didn’t want anyone influencing our road map. We bit the bullet, took on all the risk and that has proved to be one of the best decisions I have made. Apart from that, possibly wearing a Tiger onesie for our Christmas awayday was going a little too far? Q9. What’s it like running your own business? Describe your typical day. The pleasure and the challenge of a business like PageTiger is that there is no typical day. I thrive on the fluidity, and I am a hands on guy. If there is something to do, I get involved with the team and do it. I think its part of the entrepreneurial bent to get bored quickly so each day is a new horizon of possibility. One thing I can tell any budding entrepreneur is if you are doing things right, you are living, breathing and sleeping your business. It is not a job. So my day is a very long one. My teams will often arrive to find emails sent at ‘silly o’clock’ that morning, or I have woken up in the middle of the night with a brainwave and have to get into it straight away. My wife loves that! Q10. What do you love most about running your business? On one level, when you have invested loads of time and money in something, you love it when you see it working. In that sense I love success. But I particularly enjoy nailing a big new client, I get a real buzz demo-ing the product and developing new features for the system. We often get clients who require something new and being able to conjure up the correct functionality is always rewarding. Q11. Which entrepreneur/person has inspired you the most & why? You can’t ignore Steve Jobs for thinking beyond almost every one of his contemporaries, but I am quite a fan of Richard Branson. He hung in there when it was tricky and genuinely believed in himself and his abilities. He was lucky along the way – if Mike Oldfield’s Tubular Bells hadn’t been his first release, we wouldn’t be flying Virgin today. I think he overdoes it a bit on the personality promotion and I don’t do balloons but you have to hand it to him. Q12. What advice would you give to somebody thinking of starting their own business? Hang in there if it gets tough, as at some point it will! Nothing so rewarding as running your own successful business is going to be easy and no one is going to hand you anything on a plate. Survive the hard times and you will reap rewards down the line. And whatever people say, it’s about serious perspiration as much as inspiration. Q13. What are your future plans for PageTiger? To continue to be the innovation leader in our space by being the most fully functional, easy to use, cost effective marketing platform for blue chip corporations… globally. We want to do this by offering the highest standards of quality and personal service and we want our success to come by being nice to people. Hopefully Henry’s online activities has inspired you to become an entrepreneur. If it has, then begin by registering the domain name you want for your business. Then get your website set up. With this in mind, Easyspace has created EasySiteLive PRO – a website builder product, to help get your website up and running in no time. Click here to try our new EasySiteLive PRO website builder for 21 Days Free of charge.